Here is one of those great rare youtube videos. It's of Aretha Franklin at Clive Davis annual Grammy Party. 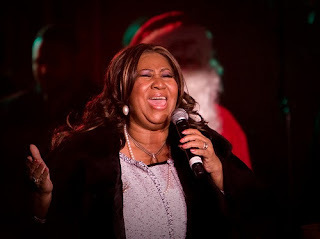 She invites Whitney Houston & Bobby Brown on stage to sing but unfortunately they never make it on stage. Not the best I've heard Toni Braxton but not many people can sing Respect! Actually Aretha was slaying anybody that attempted to sing with her. What can you say but God Bless The Queen! Look like it was a great party to me! First Class entertainment indeed!